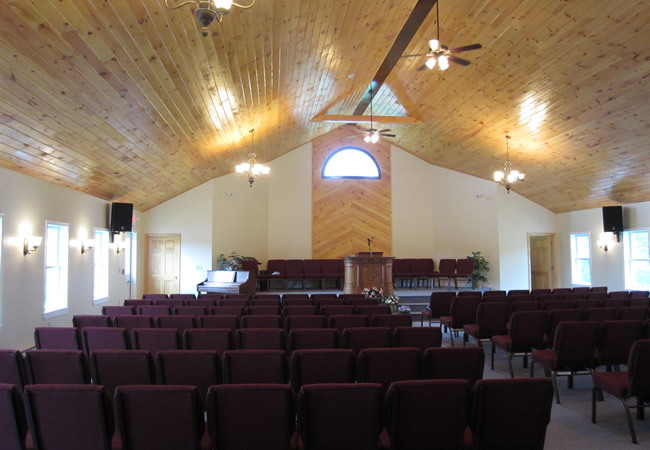 The Berean Baptist congregation of Newport, NH needed a commercial architect to design a new church to call home for 175 parishioners. The pastor's and assistant's offices are located on the main level while several classrooms and a gathering space to hold 60 people are located on the lower level. The entire building is handicap accessible and, because of the sloping site, can be accessed at grade from each level. The building is a wood framed building with wood roof trusses and sits on a poured concrete foundation. A small budget and tight construction schedule were taken into account in the design of the building.